We cater to the Cowboy, Cowgirl, Hunter and Hard-Working American! 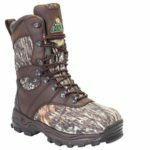 Looking for Western Boots, Hunting Boots, and Safety Boots? Comfort meets fashion and reliability at Foothills Boots. Look to our experts to help you find long lasting affordable boots for all occasions. 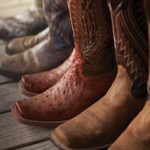 Whether you are looking to dance the night away in our western boot line, work hard in our safety boot line or spend some time outdoors in our hunting boot line, we have you covered. We are proud to be able to offer tough Red Wing shoes and boots. Hope you enjoy this video of hard working Americans getting the job done in hard working Red Wing boots! Foothills Boots knows how rigorous your job can be which is why we have work boots for both men and women. 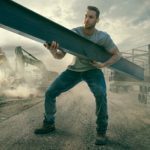 Steel toe work boots are great but with the new lighter style composite toe work boots available, you’ll be more comfortable and less tired after a long hard day. Come try on our many style of lineman boots. Utility company employees rave about our selection. When you invest in work boots you want them to last. We carry quality brands that you know and trust. Style and elegance should never be compromised with safety and durability whether you are working on the farm, performing in a rodeo, or line dancing. This is why Foothills Boots carries the latest styles and best brands including Ariat, Chippewa, Dan Post, Durango, Dingo, Larado, Justin, Rocky and more. Come visit our big selection of Western Style Boots for all occasions. We know it takes a lot of planning to scout areas all year to make sure your hunting experience is the absolute best when the season opens. Make sure your hunting boots are durable for those long walks and warm when your awaiting the arrival of that trophy buck. Hunting boots should fit right to accommodate multiple layers. Let our trained staff help you get into the right pair of boots for every occasion. Whether it’s water hunting boots for the duck hunter, lightweight hunting boots for the rabbit hunter or rugged terrain hunting boots, we will make sure your feet are protected.